Hello my name is Winter and this is my first time training a mustang and I am very excited to do this. 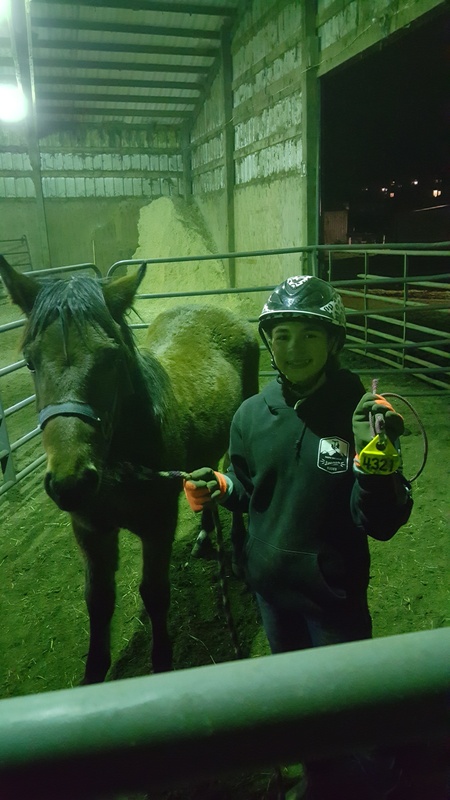 My mustang filly is named Sophie, I am in the youth In-Hand trainers division for 2017-18, with Sophie she is teaching me completely new things about my body placement as well as my voice commands and as the day goes on Sophie is doing much better with her training. You can follow my facebook account to keep up to date with our journey there.